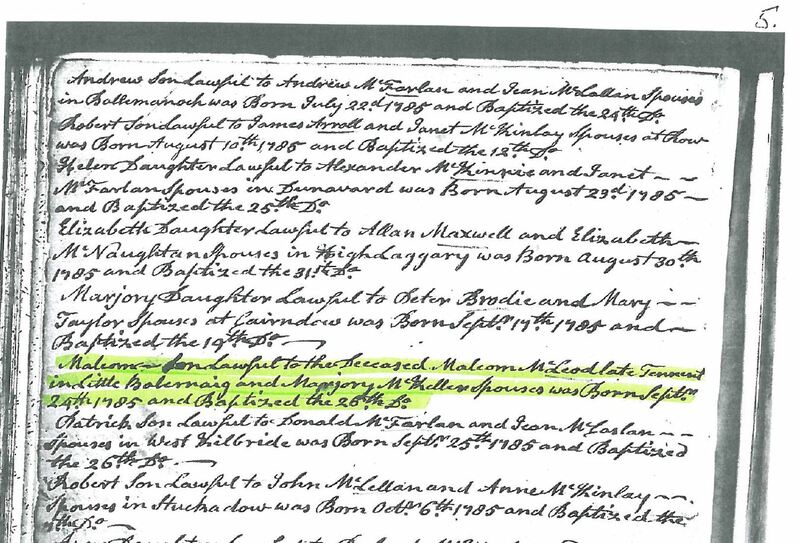 Malcom McLeod (1785) was born in Little Balernaig, Scotland [1,2] nine months after his father Malcom McLeod (1740) passed away. 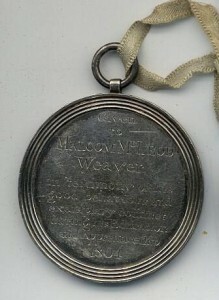 Malcom received a Badge of Merit from the Highland Society of Glascow for his good behavior and exemplary conduct during his education and apprenticeship as a weaver in 1804. (Photo of the medal is below, more about the Badge of merit from the Highland Society here and below). 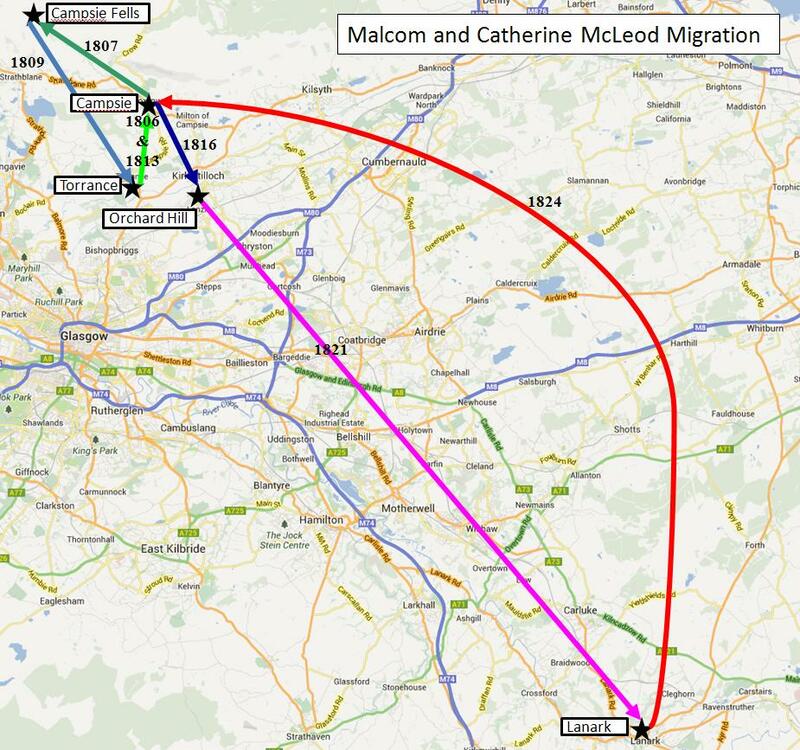 Malcom married Catherine Cameron in 1806 in Torrance, Scotland . 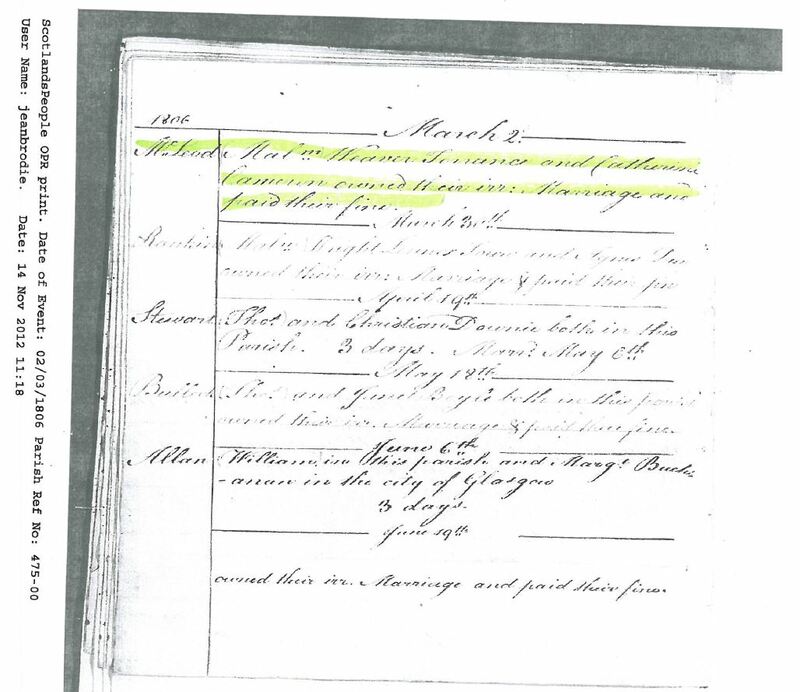 Their marriage was an irregular marriage meaning they were probably already married by common law and were making it official when they baptized their son Malcom on March 2, 1806. 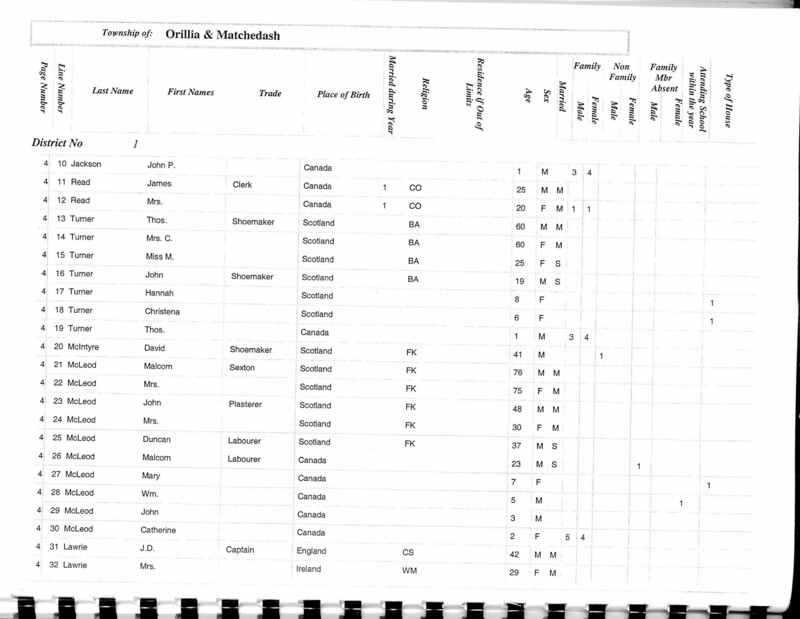 Malcom was listed as a cotton hand loom weaver in the 1841 and 1851 Campsie Census. 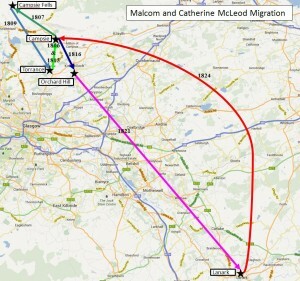 Malcom and Catherine must have moved around as their children were born in Campsie (1805), Campsie Fells (1807), Torrance (1809), Campsie (1811, 1813), Orchard Hill (1816), Lanark (1821), Campsie (1824, 1825). They had seven sons and four daughters. 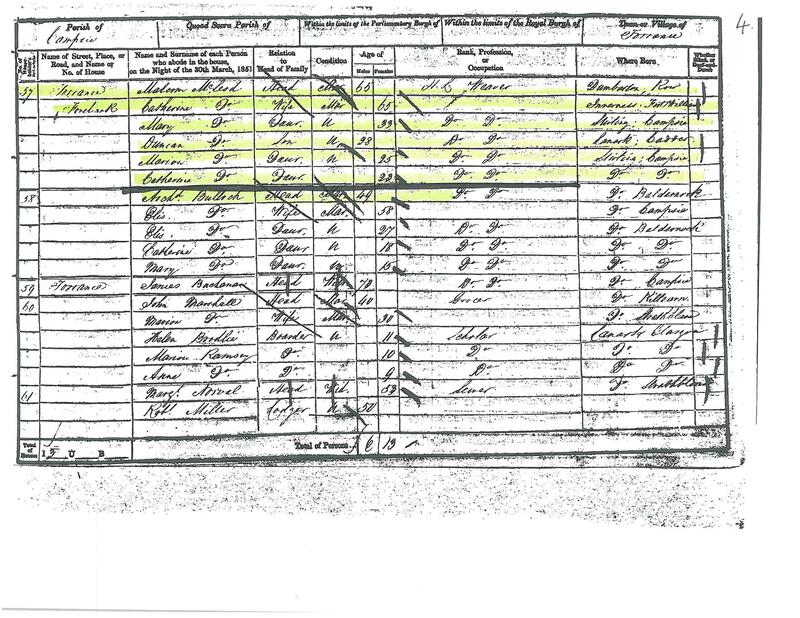 Duncan, Margery, and Catherine were all listed as hand loom weavers in the 1851 Census. 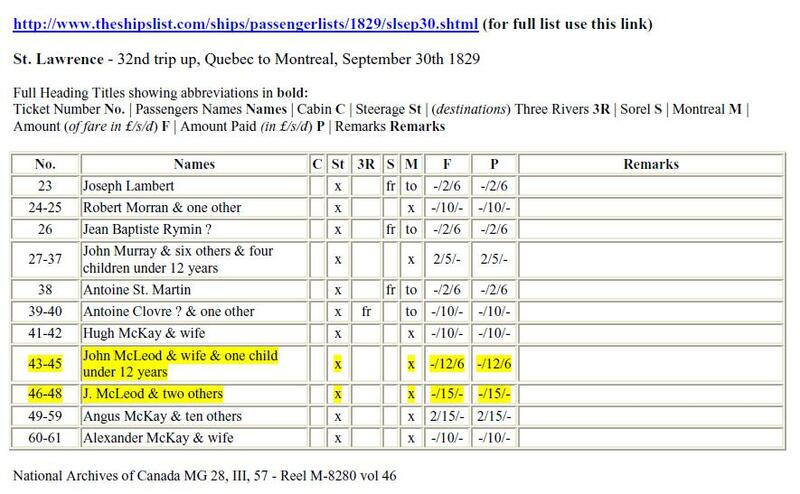 Three of their sons (Malcom, John, Cameron) emigrated to Canada in 1829 . Sometime between the 1851 Campsie Census and the 1861 Canada Census, Malcom, Catherine and their son Duncan visited their son John in Orillia Canada and never returned to Scotland [3,7]. 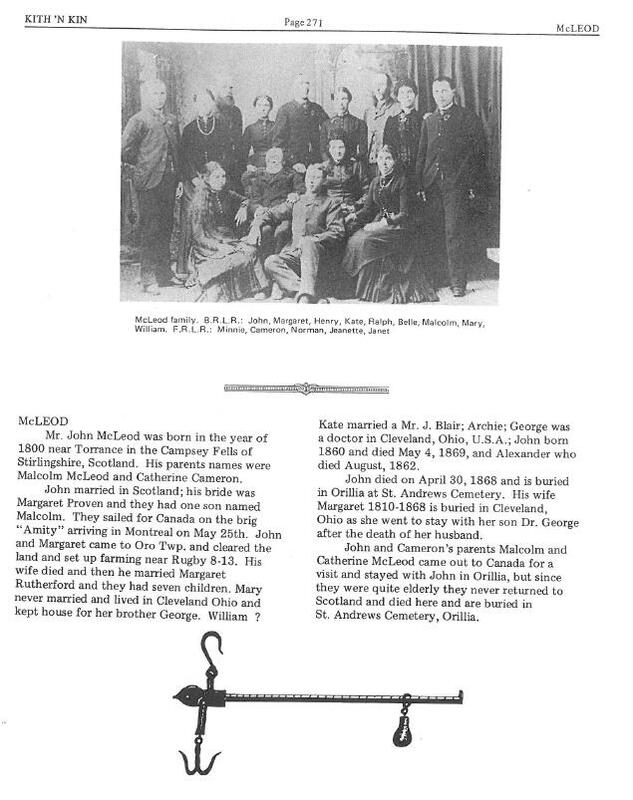 Malcom was listed in the 1861 Canada Census as a Sexton, which means he was “An employee or officer of a church who is responsible for the care and upkeep of church property and sometimes for ringing bells and digging graves.” Malcom died in Orillia, Ontario on August 10th, 1862 at 77 years of age .